My first recommendation for riding during the summer is protect your skin from the sun, duh! Start with a wide-brim helmet or visor to keep the sun off your face. I ride in a GPA First Lady (I do not have the 2X) that has a wide brim. This helmet shades my eyes very well, although the brim is not so wide as to offer complete protection from the sun. I am looking at adding a visor to the mix for extra sun protection–I am leaning toward a Soless visor, but also considering a jute Equivisor. I’ve thrown together a few outfits that are typical of my summer riding attire, all intended to help me stay cool. Or, at least, less hot. Finding the right balance of staying cool, or really just not too hot at this point, and sun protection is the key to summer riding attire. Lightweight, synthetic-blend Icefil fabric tops absolutely rule the roost of equestrian summer shirts. I have two favorites, Equi In Style and Kastel Denmark, and I have almost an embarrassing number of tops in each brand. EIS features bright colors and stiff collars that stay upright, and a straight fit that works for my body. While retail can seem steep, I have frequently found these shirts on sale, or at a store that accepts coupon codes on EIS shirts. I’ve never actually paid $96 for one. The Tack Room Online periodically sends out generous coupon codes, and a few of my EIS shirts have come from them. I definitely suggest subscribing to their email list. Romfh Sarafina breeches are new-to-me and I just picked up a pair in Sea Glass. I LOVE this perfectly peacock shade and they look great with my brown Ariats. I have been hunting for a reasonably-priced alternative to Tailored Sportsman Trophy Hunters–haven’t we all–and these are superior to Trophy Hunters in a few ways. The first is the price–retail around $150 and well under the Trophy Hunter price tag of $190. The second is the fabric. Stretchy, soft, sporty, wicks sweat to an extent, conforms to my shape without clinging, conforms to my waist without gapping, and smooth sock bottoms instead of Velcro … so many features about this fabric make me prefer it to the Trophy Hunter fabric. 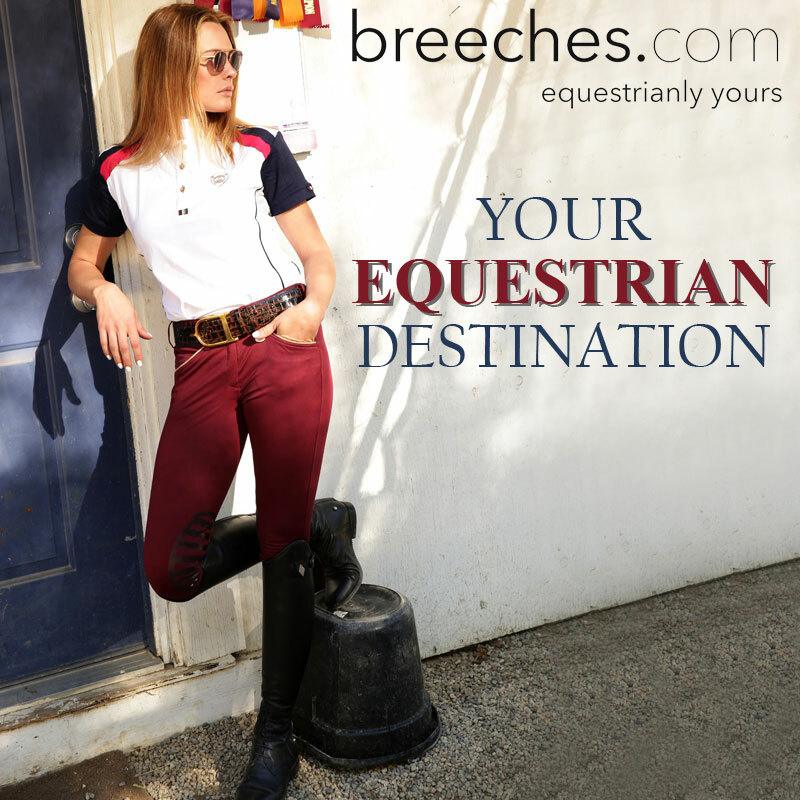 The cut of these breeches suits the hunter/jumper aesthetic, and the color offerings will satisfy both those who prefer traditional palettes and riders who like brighter colors that pop. The fit is even a bit generous, so if you are in between sizes, size down instead of up. The white and tan are show-worthy, and this will not be my only pair of Sarafinas for very long. I have already reviewed the Goode Rider Legacy breeches, and my feelings for them run deep. The styling, fabric, and fit suit me, and they transition from schooling to showing easily. Please make them in white, Goode Rider! They are a great summer-weight breech and I highly recommend them. I purchased two pair from Adams Horse and Pet Supply, a fantastic tack shop in Maine with excellent customer service and a great selection. I want to visit Maine solely for the purpose of visiting this place in person. For my birthday, I got a couple of the Kastel Denmark short sleeve polos. While they do not offer the same sun protection as their long sleeve shirts, the fabric is the same–that wonderful Icefil. The fabric is silkier than the EIS fabric (not all Icefils are equal) and the collars are less stiff. The fit of Kastel shirts is contoured and extremely figure-flattering, so if you are shapelier than I am these might be the way to go for you. Their color palette is extensive and sophisticated. The vibrant purple they came out with recently looks great with grey, taupe, or blue breeches. And it makes me happy. The power of color is real, y’all. Ugh. Y’all. I have a very Brokeback relationship with Trophy Hunters. We are all familiar with them, so I’ll just leave it at that. What I CAN get excited about are the tank tops from One Horse Threads. For those of you sun worshippers who fear no tans, One Horse Threads tanks tops need to get in your closet. If I know I will be riding when the sun is low enough on the horizon to be less oppressive, I forgo the Icefil and throw on a tank top like the one above. One last piece that has quickly become a staple for my summer riding is the Asmar Equestrian Logo Long Sleeve Tee. I have a kelly green one, and I just saw a plum color that is not on the website yet, but I WANT IT. You want one of these shirts, too, if you live in a hot climate. This thing wicks sweat like you wouldn’t believe. The humidity here was Houston% recently, and this shirt kept me dry dry dry. Not kidding. My only regret is that I didn’t believe Amanda–I should have got one of these a long time ago. What do you wear while riding in the summer? Does anyone have any good over-the-counter face sunscreen recommendations for people with sensitive and temperamental skin? Posted on June 17, 2016 June 16, 2016 by Karen MPosted in horses, outfits, reviewsTagged Adams Horse and Pet Supply, Asmar Equestrian, Asmar Logo Long Sleeve Tee, beat the heat, EIS COOL Shirt, equestrian style, equestrian tips, Equi In Style, goode rider, Goode Rider breeches, heat advisory, heat wave, horseback riding, horses, icefil shirts, icefil tops, Kastel Denmark, One Horse Threads, riding breeches, Romfh, summer equestrian breeches, summer equestrian style, summer heat, summer riding, summer riding attire, Tailored Sportsman, The Tack Room Online. So well dressed. Side note, I love that The Tack Room puts their coupon codes on the promotions page, so it’s really easy to see if there’s a current one! The Tack Room also gets my vote for best customer service–every time I order, they are super helpful, communicative, & ship fast. I wish they sold the Sarafina knee patch, I might be tempted to try them! All of them are cute! Are your tall boots brown? I have been dying to get a pair of brown boots.. so if they are I’m seriously jealous, and going to force myself to get some soon! They are brown! I love how they’ve been breaking in and aging well so far. Definitely recommend. I’ve been wanting to snag some of the Kastel short sleeve polos… I regularly scoop up new colors on eBay when they have close outs listed at like $30. I hope you get a visor and review it because I have been considering one as well. I think Stampy and the brain might have reviewed one awhile back. I can’t bring myself to ride in tank tops regularly after I got terrible road rash all over from a fall a few years ago. Those Kastel closeouts are dangerous/awesome. I’ll review whatever visor I end up with–glad to find that Riding Warehouse carries the Soless visors. I rarely ride in tank tops, too. I need all the sun protection I can get! I have several long sleeve sun shirts that were all bought on sale. They’re all Kastels and I love them. I don’t currently ride english (or actually at all right this moment), but Tailored Sportsmans are some of my favorites, too. As for the short sleeve Kastel polos, I’m honestly a bit disappointed. I won one in a Facebook contest about a month ago. The first one I got was in my normal size and it was the smallest size large I’ve ever tried on. It was short, tight and very unflattering. I messaged them and they sent an XL and generously allowed me to keep the first one as well. The shirt was nice looking and a nice material, but had lots of loose threads, several inches long on the sleeve seams. Also, the price tag on the short sleeve polos I received were $75.00 for the krystal polos. The price on the website is now $95.00. I can’t justify $95.00 for a short sleeve polo. I don’t think they should be the same price as the long sleeve shirts. Also, I use oxyclean on mine and completely ruined it, so it is unwearable in public now. Ugh, that’s a total bummer about the short sleeve Kastels. I haven’t run into those problems, but inconsistency with a product like that is extremely frustrating! The just felt the materials were good, but the workmanship was lacking. I really do like the shirt, I just can’t justify $95.00 to replace it. $75.00 would have been stretching it as well, but a little more attainable than $95.00. Though in the end, what’s $20.00 anyway. Rhiannon I recommend you contact Kastel. I had an issue with a shirt having a line in the fabric after one wash (as in bought it and washed it before the first wear) and they immediately sent me a new one in one of the new colors despite the one with the issue being a closeout item from Riding Warehouse. If the sizing of the long sleeve and short sleeve ended up different they probably want to know anyways. Since I got the shirt for free and they had already sent me two, I’m not confident (or do I expect) that they would send me another. I did email the Kastel employee who had mailed me the two shirts to let her know I wouldn’t be able to submit pictures of me wearing the shirt for social media since I had ruined it with oxyclean and she never responded. That’s weird that they raised the price on the short sleeve ones. That’s the same price as the long sleeve ones. Yeah, not sure what the deal with the price increase was. Thanks. Olivia seems to be growing out of all her breeches and she dislikes Velcro on the calf so it’s nice to know what to look for. Also thanks for info about coupons at The Tack Room Online. Olivia and I often discuss how enviable all your riding clothes are so its nice to know what you’re wearing and where to get it! Thank you so much, Colleen!! I try to find stuff on sale or at the lowest price possible whenever I can, so those coupons at the Tack Room Online are really handy! The velcro does get pretty uncomfortable under tall boots–I can relate to Olivia there! I love Adam’s Pet Supply too! I discovered them when I was looking for my KK Ultra, and they were so fantastic. These are all great options to keep in mind for summer. I love my sun shirts. I ordered my One Threads tank a size too big, but it’s soooo comfy that I wear it all over anyway. The One Horse Threads tops are so ridiculously soft! I am also obsessed with Kastel sun shirts. Another brand with excellent ones is Noble Outfitters. My struggle is always finding long enough sleeves/torsos (EIS is too short but I still wear one sometimes! ), and both Kastel and Noble have nice long sleeves and bodies. Plus the Noble one has extra venting on the back and sides. It’s wonderful! I’ll have to check out the Noble ones! I actually size up in EIS so that the arms are long enough. I was just wondering about the Romfh Sarafina’s good timing! Does the size guide run true on the Asmar shirt? Would really like to try one. Kastel’s are the best since they believe in people with long arms! I have some Noble Outfitters stuff and they have long sleeves but haven’t tried one of their sunshirts yet. I have had the Soless visor for nearing two years (got it August 2014) and I love it. I’ve never had to use the clip to secure it despite them sending one and it’s been in some decent Michigan winds. 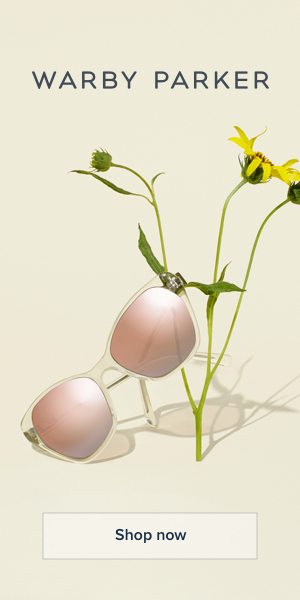 Shields your eyes without blocking your view like the solid visors do, plus it’s much lighter weight. Highly recommend it! I usually wear a small in Asmar stuff but I sized up to a medium in this shirt because I didn’t want it skin tight, just fitted. I remember you reviewing the Soless, right? I really like that it doesn’t interfere with your field of vision. Good idea! I’d love to see what everyone else wears to stay cool. I already professed my love for the Sarafinas, for many of the reasons you have mentioned, but most of all because this particular color looks AWESOME with brown boots. #brownandteal. I like the Kastel and Ariat sun shirts, the EIS ones comes in great colors (try to find the new dark/bright blue – Caribbean or cabana or something along those line) but sadly, my arms are too long. As far as visors, I am thinking of getting one as well, and from what I have heard from customers and co-workers is that the Soless really is better and stays on your helmet. I remember you commenting/blogging some time ago about the Sarafinas being a great alternative to TS and I am glad I finally figured that out! People do seem to prefer the Soless over others, even in light of the price that visor seems to be worth it. I am really vibing on the bobblehead look in #rootd selfies right now. Do it!!! I have an Equivisor and love it. I will have to look into the Asmar shirt- I’d imagine the weather in Texas is super similar to the weather in Alabama. I love Neutrogena Dry Touch sunscreen for my skin, and sometimes if it’s super angry, I like Neutrogena baby sunscreen. I have 3 bottles of various Neutrogena sunscreens in my car/tote bag/tack trunk. I tried the Neutrogena baby sunscreen but it sweats right off. I will have to give the dry touch a try. I use the First Aid Beauty mineral sunscreen from sephora and really like it! Thanks for the recommendation! I’ll have to try that one. I’m sorry this is super random, but I saw that you got the Spur Belt from Equestri Lifestyle a while ago and I recently placed an order with them and I’m having some trouble actually getting my order. I was just curious how your experience with them was and if I’m just having a random hard time? She won’t respond to my emails or instagram messages so I was curious if maybe there’s a trick to getting your order to actually go through… I’m a little bit at a loss right now! I have ordered from them 3 times, and 2 of the orders were via instagram/paypal invoicing. I never had trouble, however I have heard some people have. I am not sure what else to suggest, sorry!